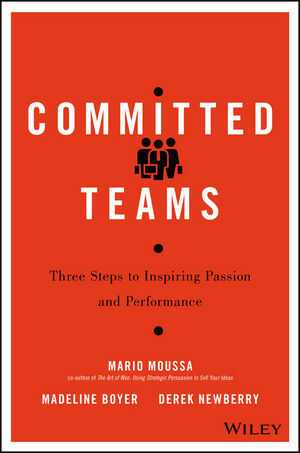 Committed is a practical handbook for building great teams. Based on research from Wharton’s Executive Development Program (EDP), this concise guide identifies the common challenges that arise when people work together as a group and provides key guidance on breaking through the barriers to peak performance. Committed draws its insights from the EDP’s living lab: an intensive two-week simulation during which executive-level participants run complex global businesses. The authors have observed over 100 teams collaborating and competing for over 100 combined years in this intense environment. It has yielded fundamental insights about teamwork: what usually goes wrong, what frequently goes right, and the methods and techniques that will help you access your team’s full potential. These insights have been distilled into a simple, repeatable process that you can start applying today. Committed gives you the perspective you need to combine the right people with the right way of collaborating to achieve extraordinary results. MARIO MOUSSA teaches in the Executive Education programs at The Wharton School of Business. MADELINE BOYER and DEREK NEWBERRY are lecturers in the Wharton undergraduate program. All three authors advise senior leaders at the world's top companies and organizations.